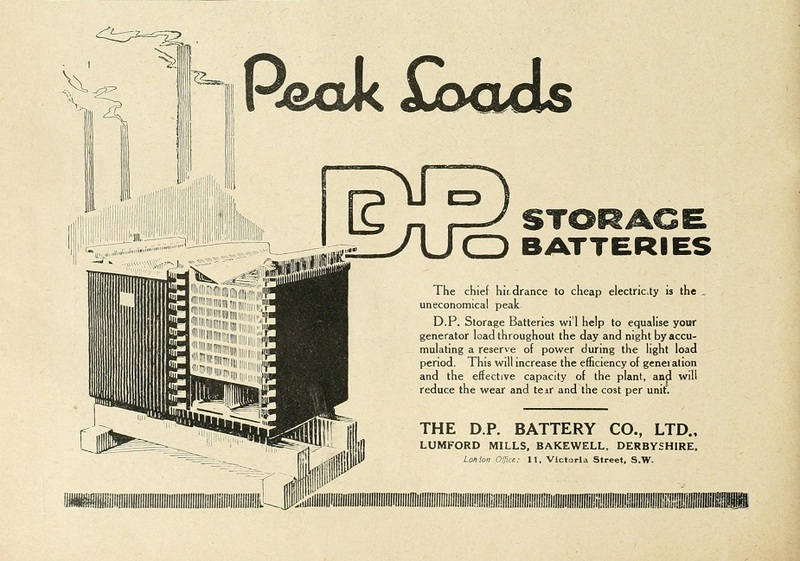 Walter Claude Johnson and Bernard Mervyn Drake built and equipped works at Charlton for making storage batteries and formed the D.P. 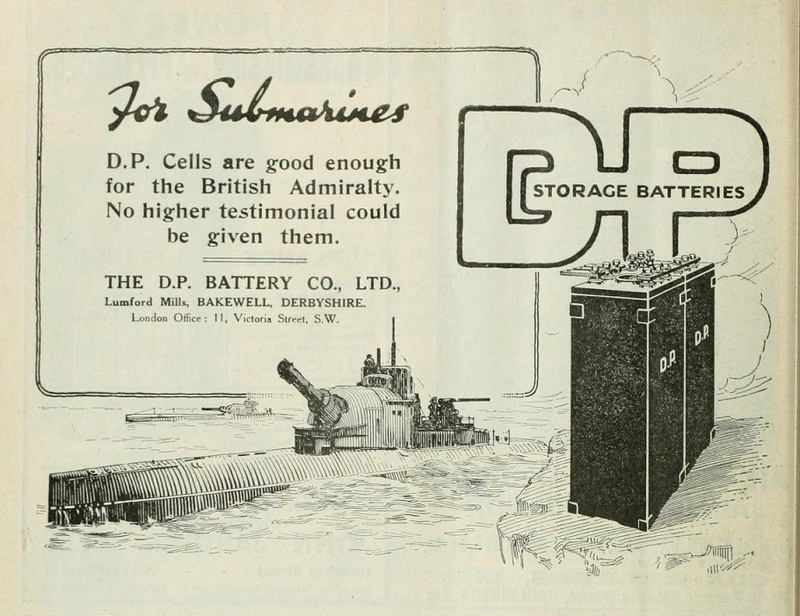 Battery Co., Ltd.
1888 Company founded as the Dujardin-Plante Battery Co. which developed prototype accumulators. 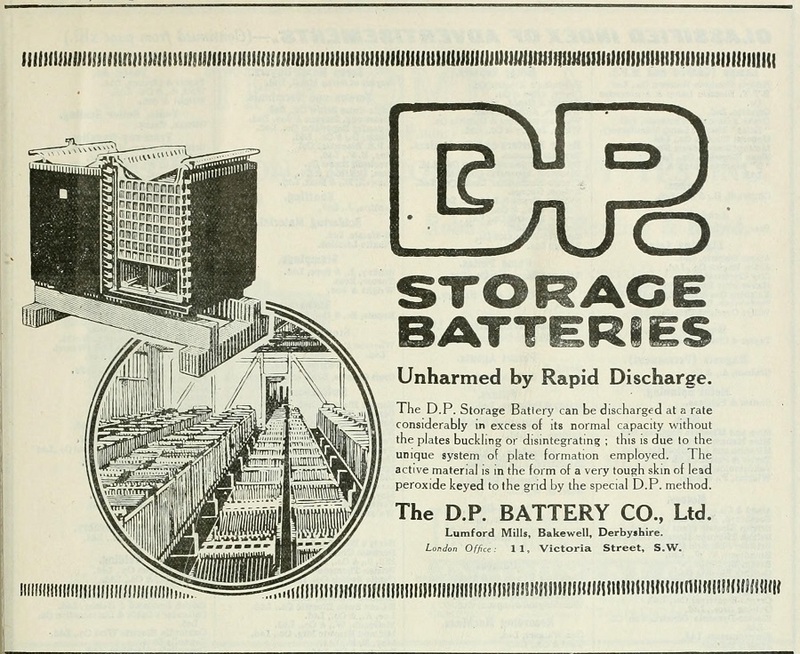 1895 Private company incorporated.. 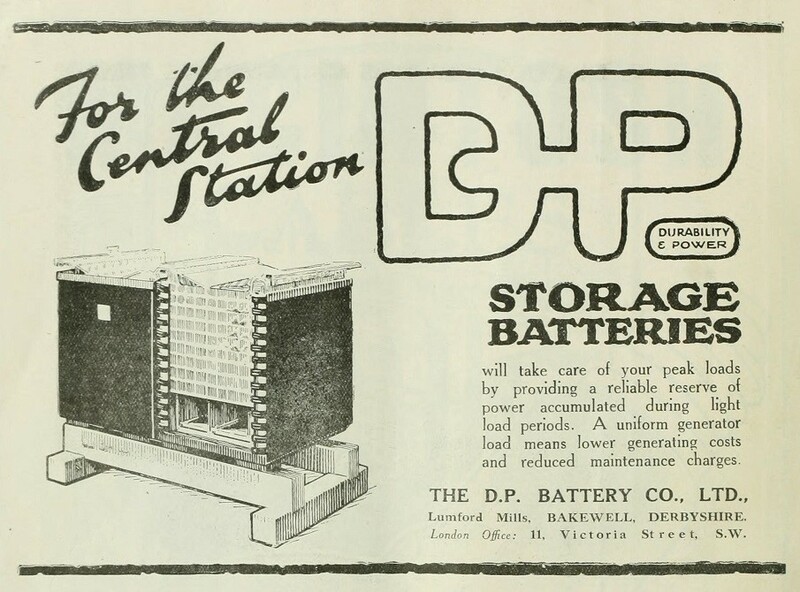 The new enterprise would provide the batteries needed in the electrification of large English houses. 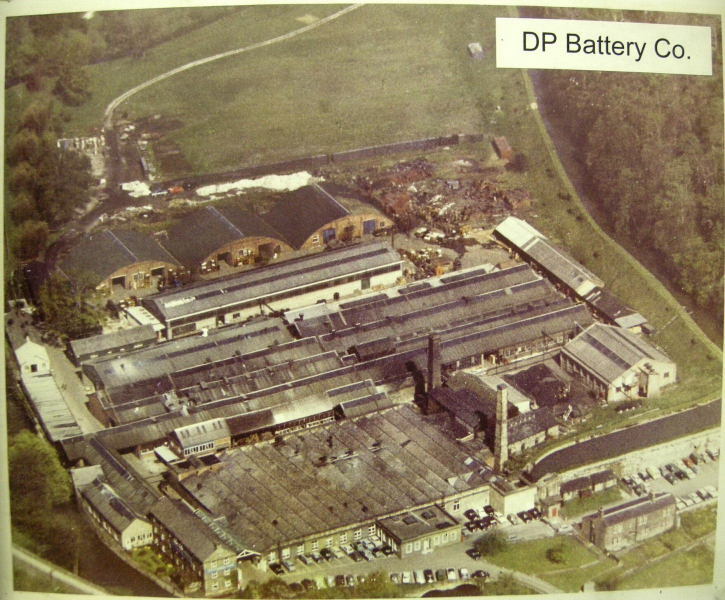 1898 Manufacturing plant installed at Bakewell in Arkwright's disused water-powered Lumford Mill. 1926 M. C. L. and Repetition was set up by J. 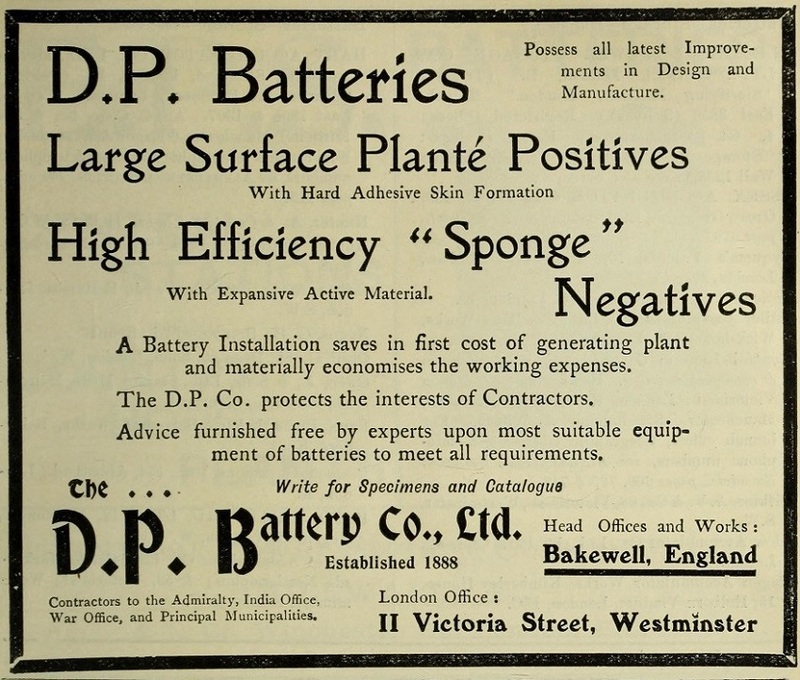 Stone and Co, Hart Accumulator Co and D. P. Battery Co to manufacture "repetition" parts (principally nuts and bolts) but also made magnetos on a small scale..
1928 National Accumulator Co formed, to hold all of the shares in D. P. Battery Co and a major interest in Hart Accumulator Co; the company was owned by J. Stone and Co and other competitors. 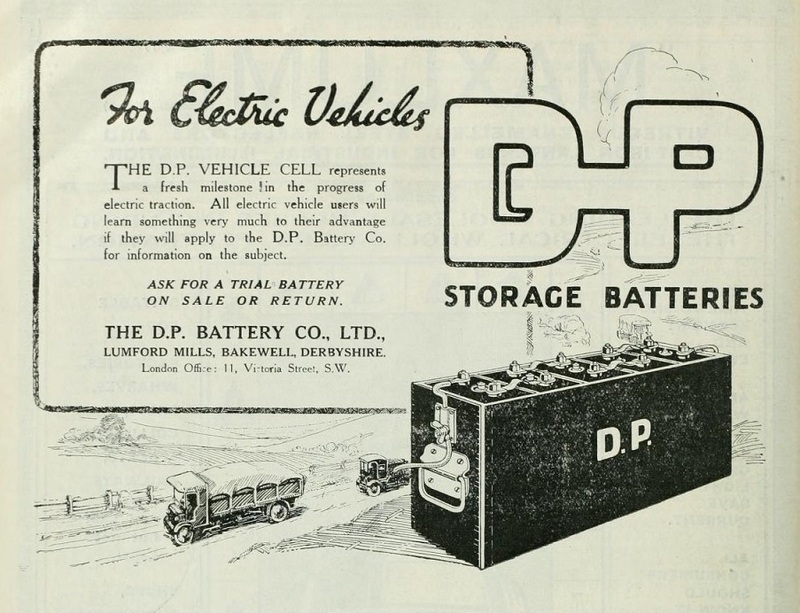 1929 Chloride Electrical Storage Co acquired National Accumulator Co..
1930s One of the main manufacturers of traction batteries in the Chloride group.. The former factory at Lumford Mill is now in multiple occupation by various companies. This page was last edited on 20 March 2018, at 17:23.